Discover the world with Levenhuk Blaze 50! 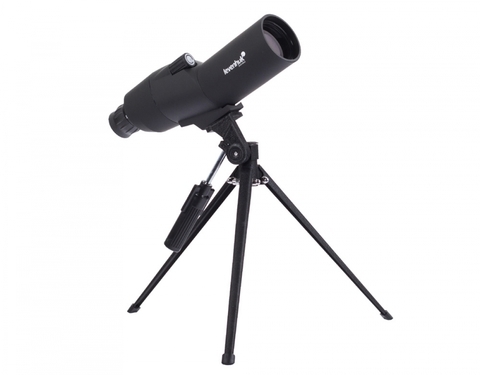 The wide range of magnifications from 15x to 45x allows you to observe highly remote objects. 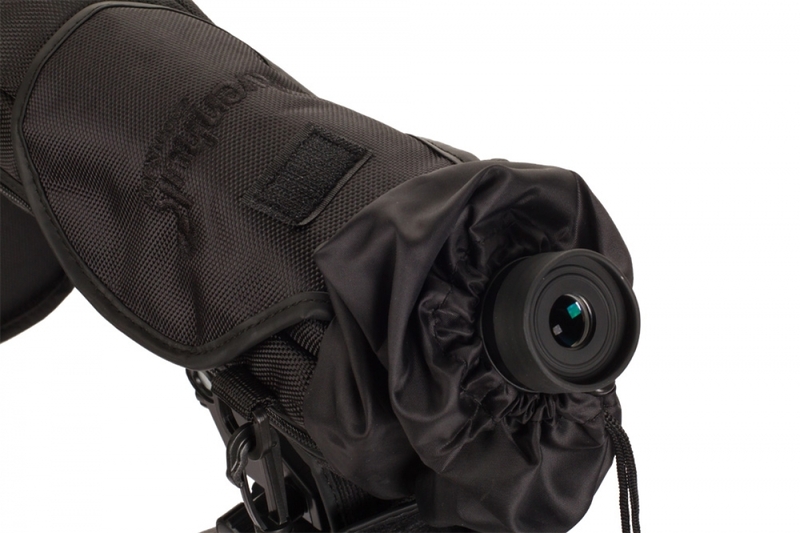 The high aperture objective lens provides great visibility even in dim light conditions (for example, at dusk). 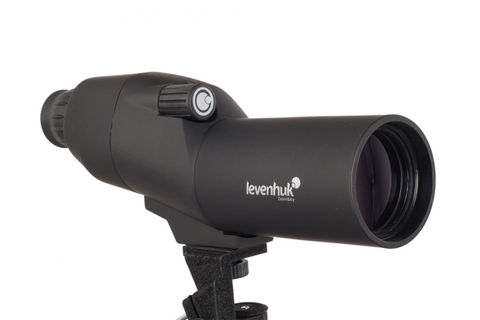 Quality fully coated optics create bright and clear images. 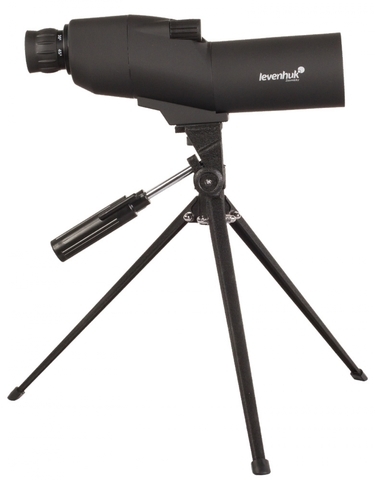 The spotting scope has quite compact dimensions – the instrument can easily be transported to the countryside for observations. Wherever you are, in the city or in the countryside, with Levenhuk Blaze 50 Spotting Scope you won’t miss a single detail! The fully coated optics made of high-quality borosilicate BK-7 glass create high contrast, sharp images with natural colors. 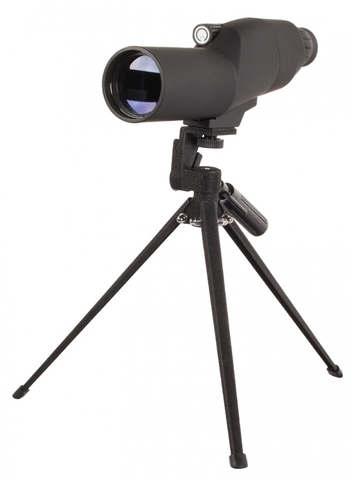 The prisms are covered with a silver coating; the lenses, a blue coating. A minimum focus distance of just 5 meters (16.4 feet) allows you to see even nearby objects clearly. 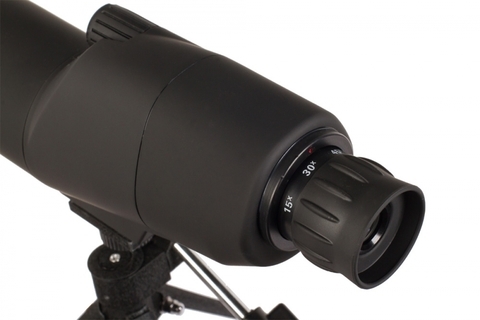 Observations at high magnifications require greater stability in order to achieve maximum image sharpness and clarity. 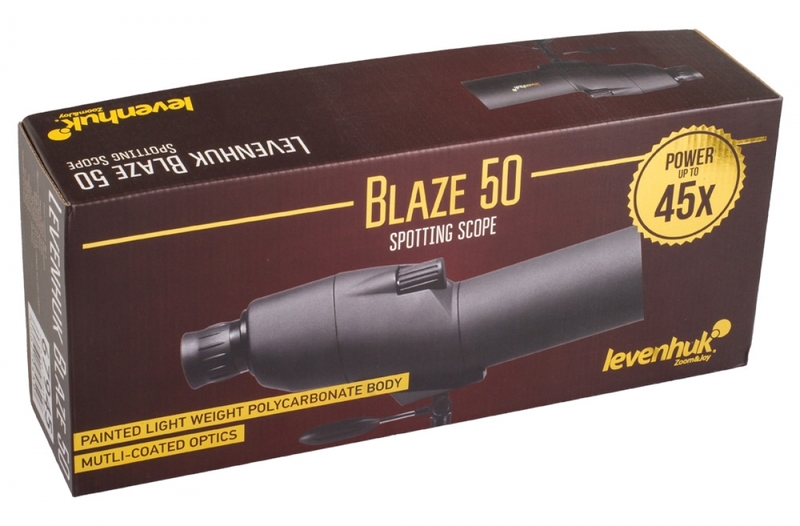 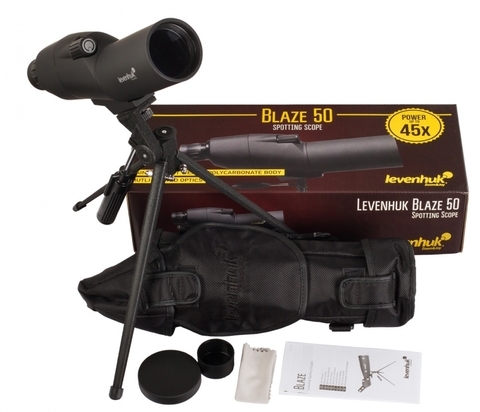 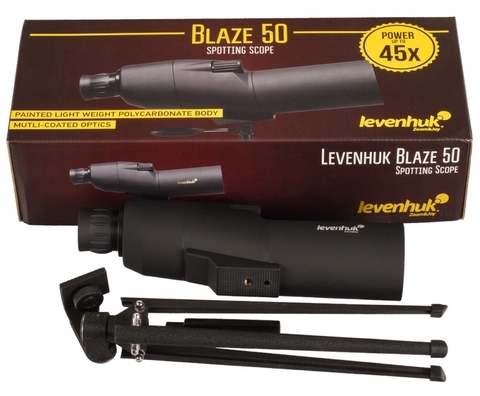 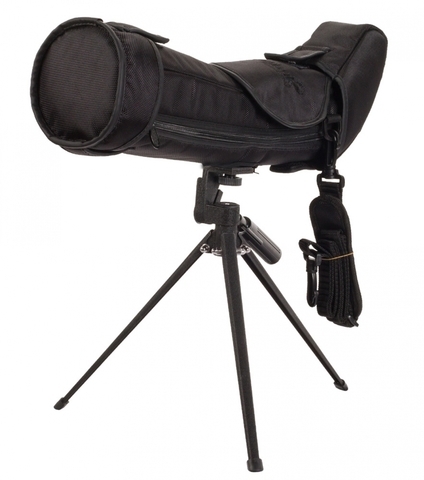 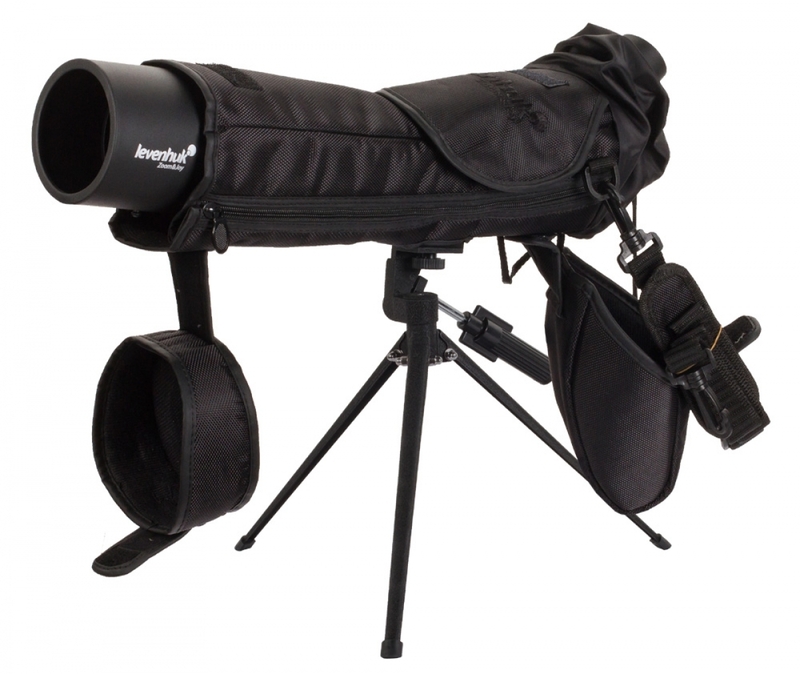 That’s why Levenhuk Blaze 50 Spotting Scope comes with a metal table tripod.